A documentary crew films a paranormal researcher's search for his missing wife. I have a confession to make - I love found footage horror. It’s a sub-genre that I know divides many horror fans but I have always found that its immediacy adds an extra element of fear for me, an added push of vibrancy. My second confession is that the horrors that work best to scare me are devil based horrors. The Devil's Well has both these factors in its favour, and I enjoyed the ‘Hell’ out of it! Starting with ‘interviews’ with bereaved husband Bryan Marks (Bryan Manley Davis) this found footage mockumentary brings to the screen the tale of his missing wife Karla Marks (Anne-Marie Mueschke) – (sidenote: I am unsure of the relevance of her name's similarity to that of philosopher Karl Marx, but its existence was not lost on me). In 2013, while working as paranormal investigators, Bryan and Karla were called in to scrutinise a local Connecticut legend called ‘The Devil's Well’; the day after they started the investigation, Karla went missing. The interviewers/filmmakers talk to local police detectives, retired policemen, Karla’s old school friends and her devastated parents, who all seem reluctant to accept the ‘supernatural’ explanation being floated by her husband. This mockumentary provides a backstory of The Devil's Well and how it had always been a source of attraction for those obsessed with the paranormal after some unexplained deaths in the 1700s. Believed to be a gateway to Hell, in the 1950s the well had a textile mill built around it, and since that time had drawn occultists and what seemed to be Devil worshippers to its site. During the police investigation following Karla’s disappearance, her video camera is located, but it appears to contain only static; the police detectives themselves however had recorded what they described as the sounds of Hell - which this reviewer found most unnerving. A year after her disappearance, and tired of the accusations and questions, Bryan hires S.I.G.N.S (Supernatural Investigators of the Greater Northeast), to go to The Devil's Well to investigate what happened to Karla and make a documentary proving the validity of the well itself. Each member of the SIGNS team is introduced nicely here and they are clearly defined by their feelings about the coming mission. Kris (David Alexander), who is excited to check out the well; Kurt (Kurtis M. Spieler) the SIGNS filmmaker who just wants to make a good documentary; Riley (Kristen Seavey), who is nervous to go, not just because of the risks from the well but also because, as she puts it, they are ‘voluntarily putting themselves in an abandoned building’ with the lead suspect in a murder investigation; Dennis the Tech guy (Jon Gregory), who is a non-believer and assumes this is a publicity stunt; and finally Lucas Baker (Chris Viemeister) and his psychic sister Lynne (Lauren Sowa) who created SIGNS to investigate and prove the paranormal is real. The mockumentary flips to black and white for the documentary interviews with regular local folk - so far so Blair Witch. A title card tells us it's exactly one year since Karla disappeared, and then once we are in the mill, it’s back to colour. We spend some time with the team setting up cameras and various recording and investigative equipment before the team splits up and starts walking the corridors of this creepy mill. What’s lovely here is the director’s obvious affection and humanity towards each character; treated as real people, it makes their future peril all that more tangible. Bryan and Dennis watch from the ‘nerve centre’ where the various screens show images detailing the action happening within the abandoned mill. The cynical Dennis is a great character for the audience to have a doubting voice through; he expresses our every questioning thought. What follows is escalating anxiety, as the work done in the set up pays off in spades. The finale is chilling and unexpected. This film reminds me of the under-seen horror masterpiece Lake Mungo, and that is high praise indeed! It is abundant in dread, creepily atmospheric and a little bit nasty. It maintains its high quality throughout and has a clever sense of what works in what you don’t see versus what you do. Drawing on the real life hysteria of our own history, such as the 'Satanic Panic' of the '80s, the well itself has a rich backstory and mythology that adds to the realism. 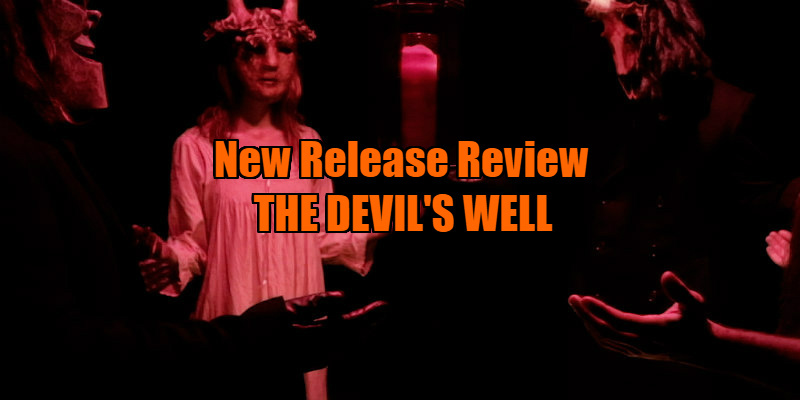 The Devil's Well also boasts an eerie and sparse soundtrack by Dante Vallee, with realistic and affecting performances by every actor. The clever direction and script by Kurtis M. Spieler go a very long way here. My only quibble is that I would have liked to spend more time with the SIGNS team. They were personable and there were more scary moments to be had there. The section with them exploring the mill was the film's most successful sequence, and I wanted more. Overall, one of the best Indie horrors I’ve seen in at least a year. 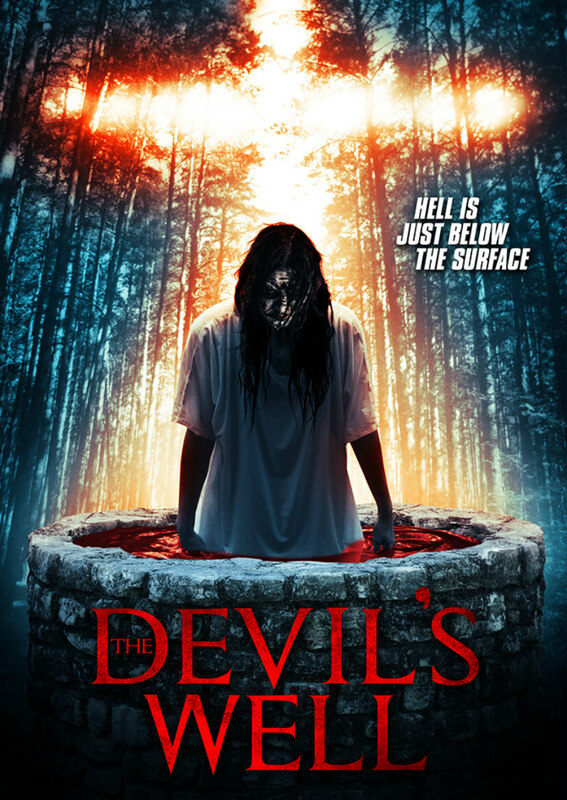 The Devil's Well is on DVD January 23rd.